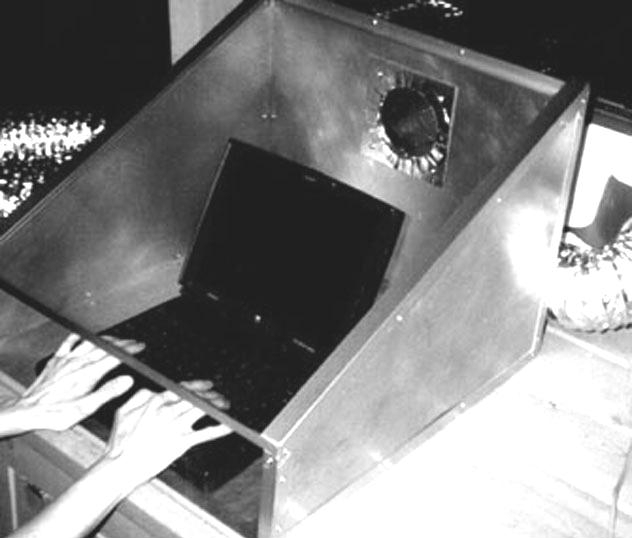 Since papers, inks, and computers can release fumes that are too toxic for some of us to breathe, adversely affecting our ability to remain functional, and since there’s no getting away from papers and technology in modern society, an assistive device was invented some decades ago that could be useful to bring back as a more popular accessory: the reading box! I recently ran across an ad on Craigslist for one that was for sale in the US, and then someone found an old catalogue (2002 PDF) with a few other pics, so I thought I’d share the info and images here in case they can help anyone else. A reading box is basically a box made of wood, glass, or metal, with an opening in the front, and glass on top to read through. A vented box will also have a dryer hose out the back, and a fan of some sort to push the air through the hose and out of a window. A barrier with a vent sized exhaust hole would also be needed to cover the window opening being used. This computer box is from the catalogue. My computer and old Operating System have seen better days. Things are crashing almost hourly now. I am so grateful that the original donor was twice able to get this computer back up again (with telephone advice) after a partial freeze and fully appearing meld-down, but it is still malfunctioning online, so I have to shut it down frequently, as the sites I use seem to have updated using technology that is no longer inclusive of XP and my minimal RAM (adding more would be cost-prohibitive). 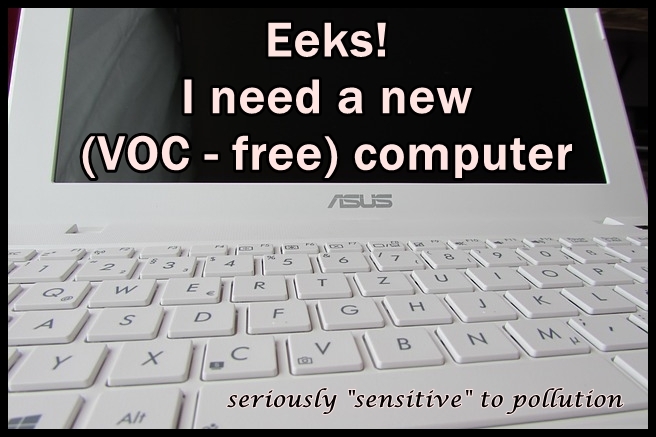 I therefore find myself in critical need of a new computer, even with all the toxicity and adverse health risks involved, and without the time to mitigate them (like running things somewhere else that is also fragrance free, for however long it takes to off-gas everything).